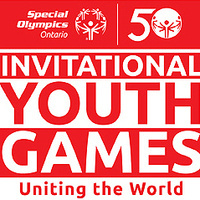 The 2019 SOO Invitational Youth Games will bring together 2,500 student-athletes aged 13-21 from around the WORLD to Toronto, Canada. The Games will host a Unified Sports and Traditional team option in 5 sports (athletics, basketball, bocce, floor hockey, and soccer). Come help us celebrate the 50th anniversary of Special Olympics at the inaugural SOO Invitational Youth Games to showcase the past, and celebrate the future!